Can tech increase catering sales? According to Technomic’s 2018 Bakery and Coffee Cafe report, 57% of consumers visit a bakery café or coffee café at least once a month, and 31% visit at least once a week. Students reach for caffeine throughout the day as they recover from an all-nighter, prep for an afternoon of classes or need a pick-me-up before evening jobs. And it’s not just the students pining for a coffee fix — faculty and staff depend on it, too. But with the amount of chain and independent coffee shops popping up, and the increasingly café-like menus of quick service restaurants, what’s keeping college coffee drinkers on campus? According to Technomic’s 2018 Bakery and Coffee Cafe report, campus coffee programs have a big advantage over their commercial competitors in town: they are often the most conveniently located. The Technomic report found that when choosing which coffee café they visit, 68% of consumers said they are more likely to choose an establishment that has a convenient location. Meanwhile, 57% cited speed of service as the top priority and 48% reported making the choice based on quality of service. What’s in the cup matters as well. More than a third of students, according to Technomic’s 2017 College & University report, say it’s important for schools to offer well-known brands of coffee, and 31% prefer the ability to customize a food or beverage. 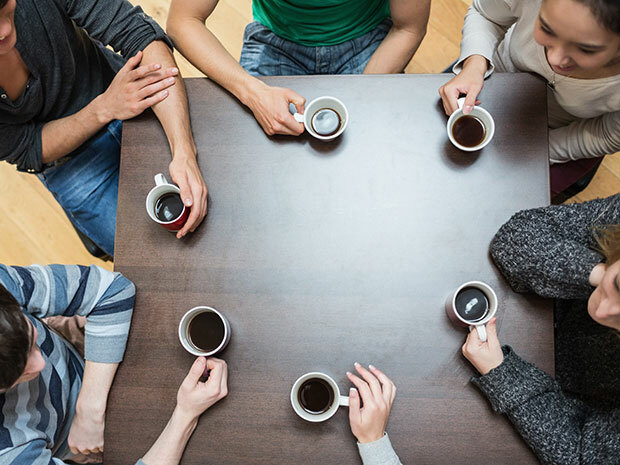 To stay competitive with commercial coffee shop competitors, on-campus coffee programs continue to turn to single-serve brewers, such as Keurig®, that offer upscale and well-known coffee brands. Coffee served at on-site foodservice locations means students and staff don’t have to waste time leaving campus, and with single-serve cups, they can get quality coffee quickly while having a choice of roasts and flavored varieties. For some, it’s just not fall without pumpkin spice in their mugs. To further entice coffee drinkers, campus coffee programs are also expanding the menu beyond the standard drip coffee, as the College & University report found that consumers said they would likely purchase drinks such as blended specialty coffee, hot specialty coffee, and iced specialty coffee. Many universities offer expansive coffee add-in bars with various types of milks and milk substitutes, natural sugar and sugar substitutes, as well as condiments such as cinnamon, nutmeg, whipped cream, flavored syrups, caramel, and chocolate sauce. Convenience, quality, and customization can attract diners to stay on campus and benefit foodservice programs, especially with high-margin products such as coffee.